Dallas Cup and Time Warner Cable Enhance Partnership | Dallas Cup, Inc. The Dr Pepper Dallas Cup is proud to announce it has reached an enhanced agreement with Time Warner Cable to broadcast live and in HD all nine Gordon Jago Super Group games that will be played at the Cotton Bowl Stadium, including the championship match on Sunday, March 31. Additionally, the championship games of the other six age groups will be televised in SD on a tape-delay basis in Texas markets. Time Warner Cable Deportes, Time Warner’s Spanish language regional sports network, will also televise live in HD eight Super Group games. 2013 marks the fifth year that the Dr Pepper Dallas Cup has partnered with Time Warner Cable to televise tournament games. 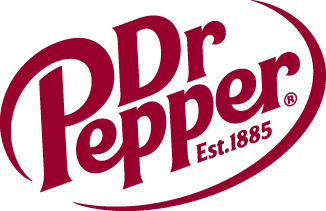 The Dr Pepper Dallas Cup televised matches will be broadcast regionally on Time Warner Cable Sports Channel markets throughout the state of Texas, and coast to coast in select Time Warner Cable Sports Channel markets serving New York, Wisconsin, Ohio, Missouri, and Southern California. The matches televised on Time Warner Cable Deportes will be broadcast nationally on most Time Warner Cable systems. The internationally renowned youth soccer tournament kicks of its 34th edition on Sunday, March 24 with four Super Group matches at the Cotton Bowl, including a 6:30 pm clash between world soccer power Manchester United and Club America of Mexico. The opening ceremonies and welcome parade are slated to take place at 5pm. Ticket and general tournament information can be found at dallascup.com.